Companies provide their employees with vacation leaves or days where they can actually not report to the office but still get paid. It varies on the regulations of the company on how transactions about vacation leaves may be done. Nonetheless, it is truly important for employees to have their personal time outside work aside from their rest days every week. Additional days of rest are always helpful especially in moments of stress and tiredness from what an employee does everyday. Vacation leaves may be used for different purposes. A person can use his or her allotted vacation leaves for rest—an out of town, overseas vacation, or anything that has to do with his or her personal life. No matter where it is to be used, vacation leaves must always be reported and tracked. In this case, you may use our Tracking Template as a reference in creating your employee vacation tracker. Depending on the company where you are currently working at that vacation leaves may be used accordingly. Some companies actually allow half-day vacation leaves. This allows the person to use another half day on other days to fully complete one vacation day leave. This is usable if the half-day leave has been used in the afternoon of the day before an employee’s rest day. It will allow him or her to have more travel time if he or she is going somewhere. Or it may simply be of help if the employee does not want to use his or her full leave day as he or she is only going to attend an event for a few number of hours. 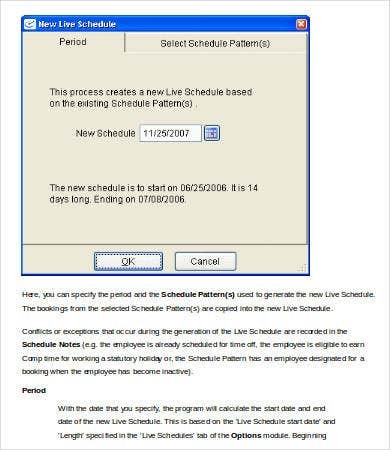 May it be used for half a day, an entire day, or even a couple of days, an employee vacation tracker is very important for the department head and the human resource personnel to have data that will present how many leaves an employee used from his or her leave credits within a specific period of time. An employee vacation tracker serves as a reference whenever information about employee leaves are needed. 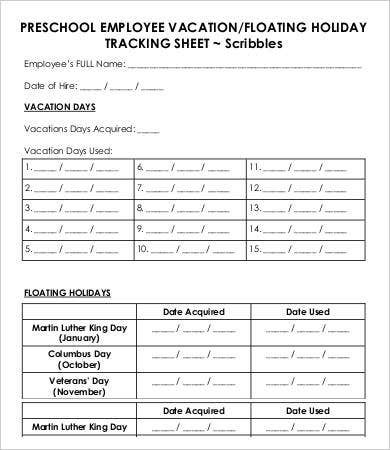 Aside from our employee vacation tracker, you may also download our Vacation Tracking Template and Employee Tracking Template . 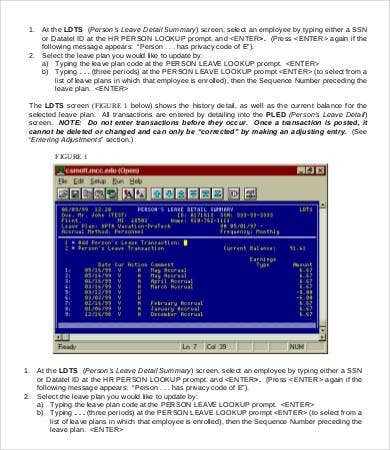 This serves as an evidence that an employee has already used the number of leaves that he or she has acquired in a given time. Before an employee can use his or her vacation leaves, he or she must file a leave document first. 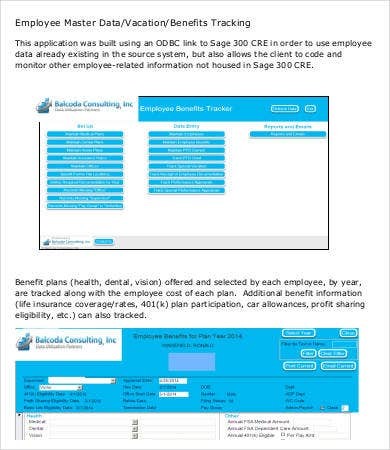 Having an employee vacation tracker allows his or her superiors to know the date when the leave filing has been made and the date that the leave is to start and end. 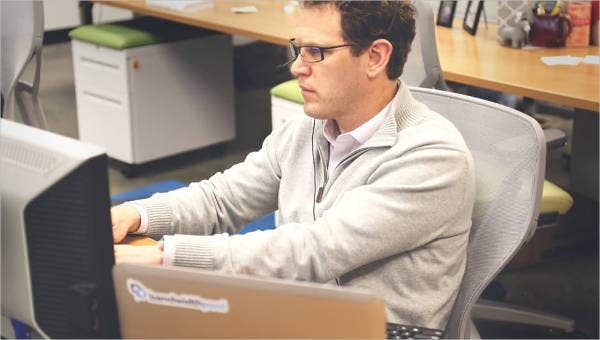 Having an idea about the the leave and vacations of employee allows the company to plan alternatives in terms of the needed workforce. Employees must always keep in mind to use their vacation leaves appropriately and accordingly. 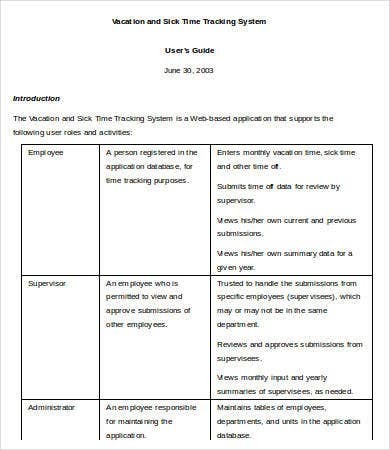 Employee vacation trackers help both the employee and the employer to be at the same page in terms of tracking leaves for vacation purposes. 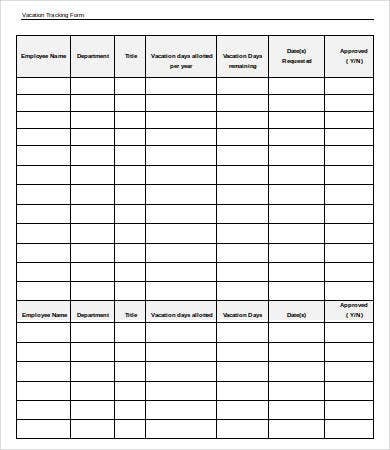 Aside from our employee vacation tracker, you may also download our Management Tracking Template .